Grenouille a appartenu à la piscine. Grenouille fell into the swimming pool. A pool of water suitable for swimming. 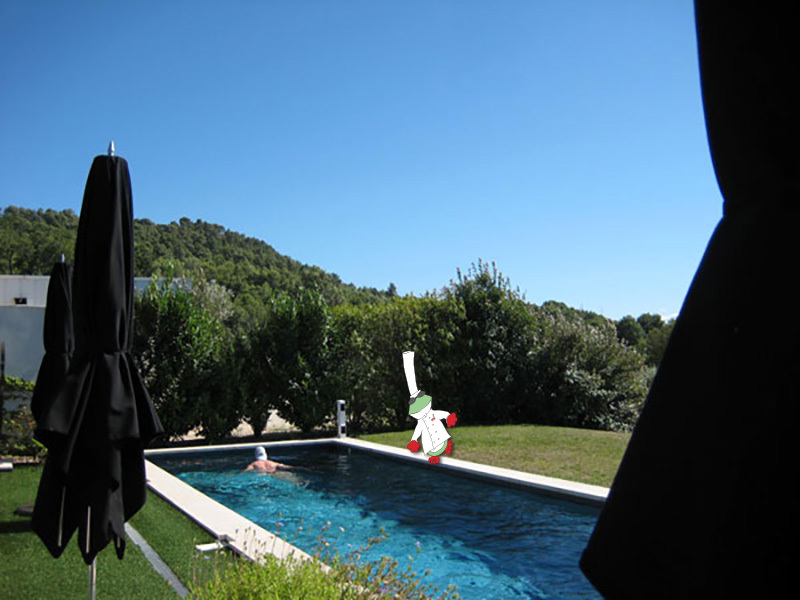 The magnificent lap pool pictured here is located adjacent to the private patios outside the five Bellevue Suites at Auberge La Ferniere in Lourmarin France. Swimming pools are in abundance in the South of France. And of course, who can forget the cliff-side swimming pool, starring Charlotte Rampling, in Francois Ozon’s movie of the same name. A must see movie about a British mystery author in a writer’s slump. Her publisher offers the solitude of his home in the South of France, where she is surprised by the visit of his uninhibited daughter and the odd turn of events that follow.